Delivery on Thursday, 02 May: Order today until 09:00. The electric Fragrance Atomiser Pyramid by Farfalla vaporises a mixture of water and essential oils in the air, in the form of countless micro particles. The body can easily absorb them and it improves the climate of the room. 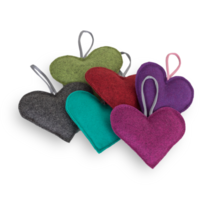 Ideal for aromatherapy to lessen stress or to simply feel good. The integrated light feature provides additional comfort. 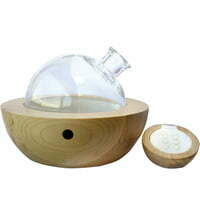 In contrast to conventional fragrance lamps, the Farfalla Fragrance Atomiser does not heat up, is quiet and easy to clean. Suitable for rooms 20-30 m2 in size.